Planning to do some car shopping this weekend? DailyFinance asked the experts at AOL Autos for this week's best car shopping tips and advice, whether you're considering a new vehicle or a used one. Here's a quick rundown of the latest news, hottest deals and smartest negotiating strategies to help you find the car that best suits your needs and your wallet. Deals of the month. 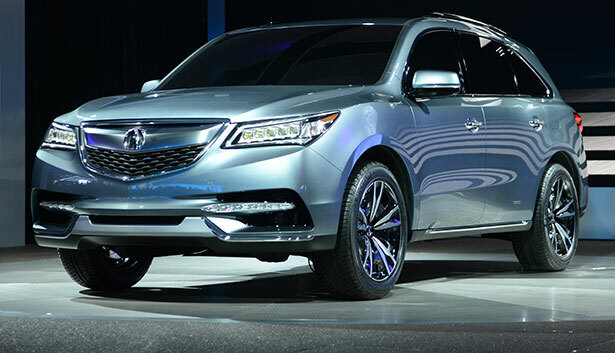 The best deals of May, which we calculate as the highest average discount off a vehicle's sticker price, include the Acura MDX, Honda Odyssey minivan and Ford F150 pickup. Check out the full list of the the top 10 best deals of May to see if one of the vehicles on your radar is among them. Crossover dreams. Are you shopping for a small SUV, often known as a "crossover?" If you are, then you'll want to read this story about how safety ratings are not high for many of these vehicles. That's an important consideration since many families by these vehicles as the family car. Gone in 60 seconds. Perhaps you've had your eye on a certain vehicle for the last couple of years, and when you're finally ready to buy you discover that the car has been taken out of circulation. Automakers cull out slow sellers every year, and some companies, like Saab and Fisker, just go out of business. So if your dream vehicle is gone or going, AOL Autos editors offer some sound substitutes for the model you may be missing. Don't pay at the pump. Curious about the new extended-range electric cars? These can run solely on battery power for some distance, then switch over to a gas motor when the battery runs out. Check out the Ford C-Max Energi, an all-new model and brand that will go about 17 miles on a battery charge before the gas kicks in. Why bother? Because some 70 percent of U.S. drivers drive less than 30 miles a day, so covering that many miles on battery can save you big bucks over time at the pump.